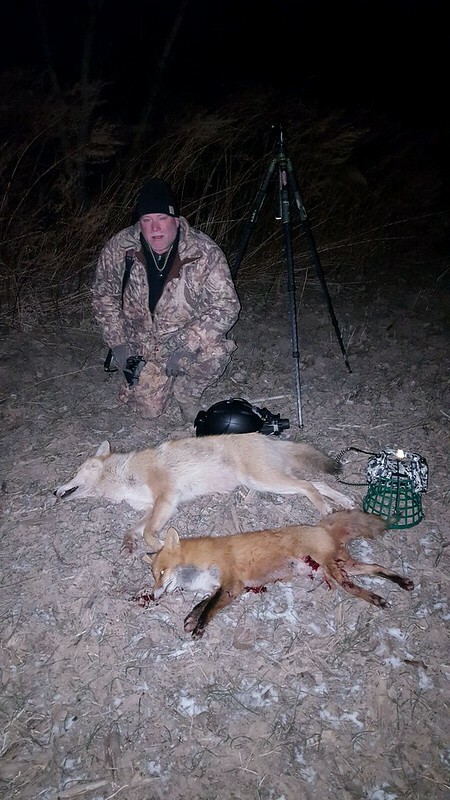 I've shot a handful of fox this year and blown 4 chances at coyotes inside 100 yards but finally put it together tonite. Less than a mile from home and first 10 minutes of the hunt we had 2 down. Rest of the night was uneventful until 2 misses on last 2 sets. Nice ! Good to break the ice. We all know that getting that first one down is the ice breaker, lol ! Congrats, looks like a big boy too ! I’m having the same problem & my weather is adding to it. Good job. Weird how you can hunt stand after stand and draw blanks and all of a sudden they are running over top of you from every direction! WTG pmack, keep that skinning knife sharp. Nice Paul, pretty coloration on both. Nice job on the coyote! Looks like it has decent fur, too! February has been awful. If it isn’t raining it’s snowing and windy. Nice to see your getting out. Congratulations on your success!